How do I design a bedroom? 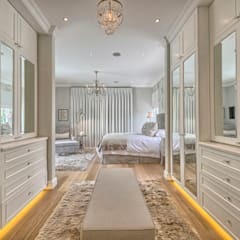 The exact way that you design the bedrooms in your house will depend on where you can build them and how many square metres you have to work with. 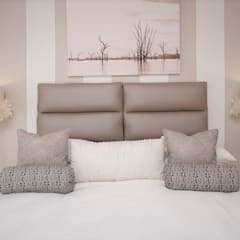 However, with some basic guidelines you can almost always ensure that your bedroom is as cosy, relaxing and stylish as possible. It’s all about getting the best possible sleep, after all. In order to allow for a good flow of sunlight in the morning, which will help your circadian rhythms and assist in developing good sleeping patterns, an east-facing window is the best option. This approach however, is only relevant if you following a rising in the morning, sleeping in the evening lifestyle. If you’re a night-owl privy to sleeping in until midday, a stream of sunlight beating down on you while you try to catch some shut-eye will be an absolute nightmare. In this case, put the bedroom and the window on the other side of the house. If you’re looking to have your room or home designed or built you can take a free consultation with us to get a local quote. We all know how annoying it is when you’re trying to get to sleep and the sounds of the world simply won’t allow for it. While natural noises like the rain beating down on the roof or the birds tweeting in the morning can be quite relaxing, the sound of cars, buses, people coming and going all other manner of life can be no more than a hindrance on our ability to sleep. For this reason, keep the bedroom as far away from the street as possible. Unless you have a skylight, the fastest way to relaxation and a feeling of feng shui or good flow and energy in the bedroom is to position the bed so that it’s either underneath or facing the window. This allows you to gaze upon the night sky, which is a calming experience in and of itself, but is also the optimal positioning for positive flow. 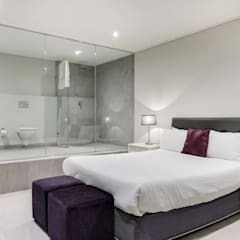 The exact positioning possible will depend on the layout of the room and your actual personal taste, so what’s most important is that the room isn’t overcrowded or cramped and that the head of the bed is against a flat surface. Determine exactly what you’re going to be using your bedroom for. Will it only be a space for sleeping? Will you also be studying in here? Will you use it as your space for entertainment? Once you’ve answered these questions, you’ll start to get an idea of how big it needs to be and if you’re not sure, there are plenty of professionals who are able to help you get the dimensions right. Remember, if it’s too big it will feel empty and if it’s too small it will be cluttered and stress inducing—size really is everything in this case. You can’t curl up in bed and read a book if you don’t have the right lights and we can all relate to the annoyance of wanting to close your eyes but having to get up to turn the light off. 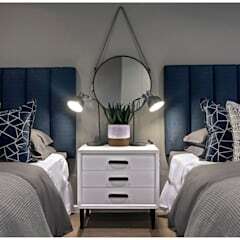 Therefore, bedside table lamps, or side lamps screwed to the wall, are more or less a must. If there are two people sharing the bed, it also allows each individual to choose the lighting on their side. A perfect solution if one person wants to sleep but the other wants to stay up for a bit longer. 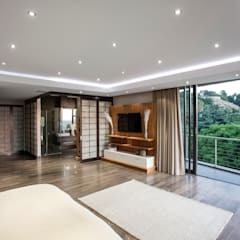 As we want the ability to achieve different moods in the bedroom, it’s also a good idea to install a dimming option on the master light or lights. If you watch TV from your bed, sticking a simple LED lighting strip to the back of the headboard can work surprisingly well to get the right tone in the room, and it looks nowhere near as tacky as it sounds. 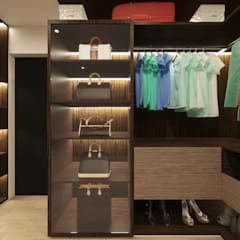 Which type of closet is best? This is yet again a question of balancing style and necessity. Some people love the look of an exposed clothing rack, others want everything neatly packed away. 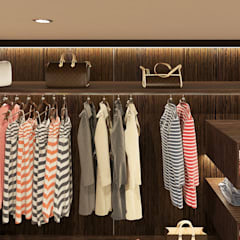 If you’ve got a huge space to work with, considering a walk-in closet with a dressing area is even a possibility. 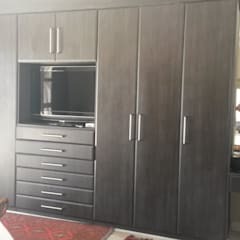 The most common option is a one-wall side wardrobe with several doors and drawers for a variety of storage options. If the room you’ve got doesn’t have a built-in this gives you the ability to choose, but always keep in mind just how much storage you might need before you go for the most on-trend solution. However, we’ve all for what’s cool, just be smart about it. How do I soundproof or insulate my room? To stop the transmission of sound from within a room, and to stop sound from entering via an external source, you will need to take steps to insulate the walls. So whether you want to practice drumming in your room, or you’re tired of hearing the kids playing recorder in another room, there are options to minimise the impact. You might have heard the expression “no one will hear you scream in space,” well, the reason for this is because sound waves vibrate and move along solid surfaces and air (and there’s obviously no air in space!) and hence travel into other rooms via walls, ceilings and floors. Unfortunately we can’t mirror the conditions in space, so we have to soundproof via sound absorption. 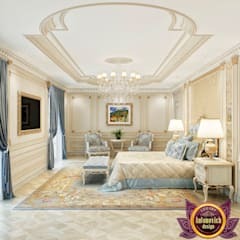 To reduce the transfer of sound between rooms the best method is to install panels by fixing them directly onto the walls. These are usually made up of high density materials and anti-vibration matting that will pick up the sound and stop is (to an extent) from continuing to transmit. When it comes to soundproofing windows, you have four possible methods. The first is to replace your existing windows with specially built soundproof windows. These consist of multiple layers of glass with gaps in between for air. The second option is to use a window seal kit. These can usually be magnetically attached to the surface of the window, to the trim or in between the jambs to provide acoustic and thermal insulation. Next you can try a sound barrier or a clear panel that is applied with velcro. Option number four is a barrier blanket, which extends past the visible glass and sticks to the edges to create a seal and air gap. How do I make my bedroom look bigger and wider? 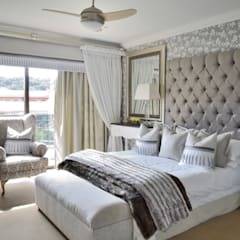 To create the illusion of a bigger bedroom or simply to make the best use of the space available, we recommend installing the curtains from as high as possible to as low as possible as this will extend the height of the room visually. Also make sure to install interior items with low heights, so that the overall appearance is not too cluttered, then use mirrors to increase the feeling of depth. What are the best bedroom storage spaces? The topic of bedroom storage can be a stressful one for some, as we all know that things can pile up. If you’re looking to get your space sorted out, then we have four key tips and spots for you to maximise. Under the bed or in the closet is a great out of sight, out of mind solution, however we recommend keeping these storage spaces at neat and orderly as possible so that the mess doesn’t end up exploding into the bedroom space and undoing all the good work you’ve already done. Wall storage units and shelves installed above the bed head are also great options for increasing space without infringing on the floor. Which items can help me to get a good sleep? The science of getting a good sleep is a complicated one, as it will differ for each individual. You first need to determine what is hindering you from rest and then you can take steps to improve the situation. Perhaps you need a better diet, maybe meditation would help, exercise could be the solution or it could simply be that you put down all technology 30 minutes before sleep to help your brain transition into a less chaotic frame. If noise is the problem, ear plugs could be the solution, if there is a light source that you can’t turn off, an eye mask could solve your problems and if you’re a scent-sensory person, setting the right aroma in a room might just help you in drifting off. At the end of the day, it might even be as simple as needing a better pillow. Which colour and style should I choose for my bedroom? As with the entire house, the style and colour theme you choose to go for comes down to your personal taste and the mood that you wish to set. Each style brings something a little bit different, but each can also be manipulated and altered from its set-look to perfectly fit what you’re looking for. Sticking to the latest on-trend items and shades, modern style will always be current and a little bit minimal. While some say this style can lack soul or a sense of timelessness, with the right accents it can be homely and cosy. 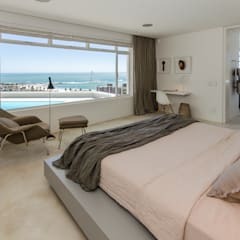 If you want your bedroom to be exactly that, a place for the bed and a place to sleep, the minimal style will likely appeal to you. Usually sticking to simple items and always minimising clutter, there’s not much room for anything that isn’t necessary… and that brings a true sense of clarity. 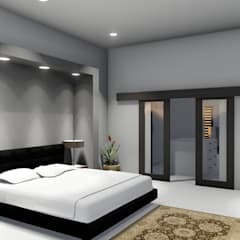 The image of the bed on the floor, the wood-paneled sliding doors and the incorporation of plants will likely come to mind when envisaging an Asian style bedroom. 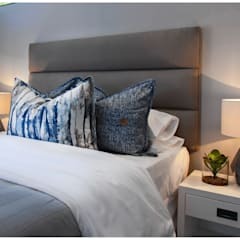 This beautiful approach gives great consideration to energy, the concept of feng shui and the idea that the bedroom is a sanctuary space for winding down and resting.